Join us for a public informational forum discussing residential leases, tenant remedies, and end of tenancy concerns. Know your rights as a tenant and protect yourself as you begin a new residential lease or purchase a home. 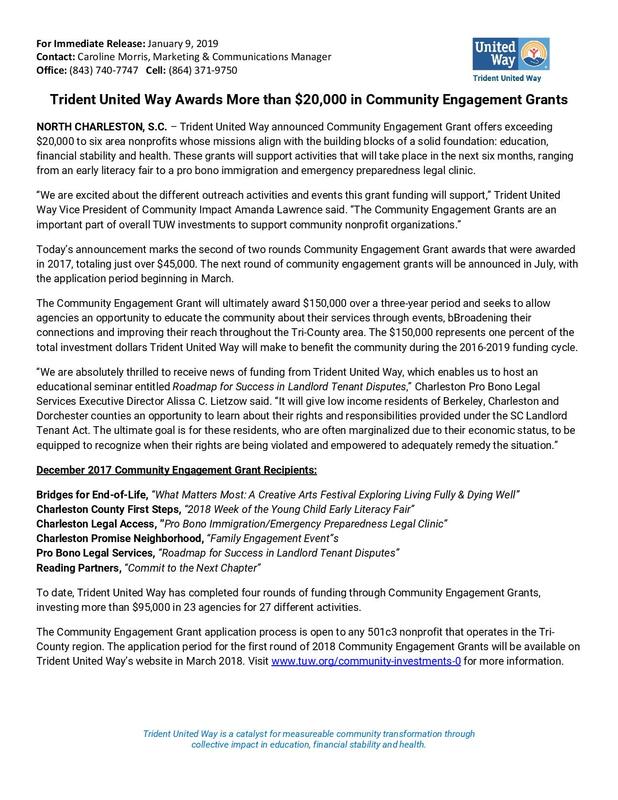 Charleston Pro Bono Legal Services is thrilled to be awarded a Community Engagement grant from Trident United Way. 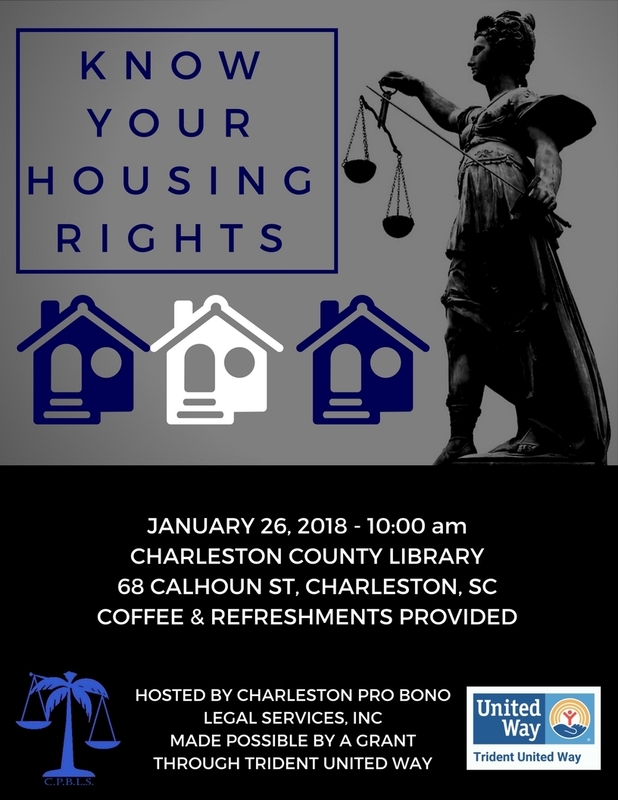 We will be hosting a landlord-tenant seminar on January 26, 2018. This is a FREE seminar but space is limited. If you would like to attend, please call our office at 843-853-6456 to reserve your place today!